Sticky Fingers owner Doron Petersan bills herself as a “junk-foodie genius” and she has the creds to back up that claim—namely, the winning title on the Food Network’s Cupcake Wars, twice. 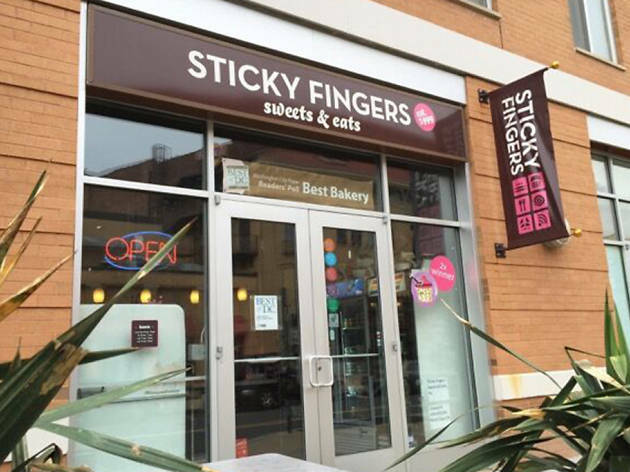 You’ll certainly, then, want to try her cupcakes at vegan spot Sticky Fingers Sweets & Eats, open since 1999. Although the original sticky bun remains a fan favorite, patrons should taste the full lineup of baked goods. On the savory side, the cafe offers plates like the Smoky BBQ burger, a lentil patty topped with house-made tempeh bacon, and the Alt-Tuna Melt, with chickpea tuna salad and house-made cashew Swiss. Brunch is also served up on the weekends until 2:30pm.